subject to change for administrative reasons. Detailed Notification will be issued in due course. On any tentative date exams can be held by ibps . Candidates can apply online only from 22.07.2014 to11.08.2014and no other mode of application will be accepted. if desiring to make online payment of application fees/ intimation charges keep the necessary details/documents ready (In case of Offline Payment i.e. CBS candidates have to apply online, obtain a fee payment challan and then remit the necessary application fees/ intimation charges). 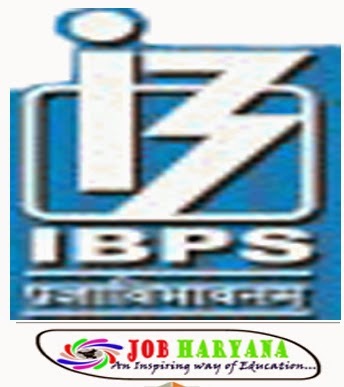 (1) Candidates are first required to go to the IBPS’s website www.ibps.in and click on the Home Page to open the link “CWE PO/MT” and then click on the option “CLICK HERE TO APPLY ONLINE FOR CWE- PROBATIONARY OFFICERS/ MANAGEMENT TRAINEES (CWE-PO/MT-IV)” to open the On-Line Application Form. (2) Candidates will have click on "CLICK HERE FOR NEW REGISTRATION" to register their application by entering their basic information in the online application form. After that a provisional registration number and password will be generated by the system and displayed on the screen. Candidate should note down the Provisional registration number and password. An Email & SMS indicating the Provisional Registration number and Password will also be sent. They can reopen the saved data using Provisional registration number and password and edit the particulars, if needed. (4) Candidates are advised to carefully fill in the online application themselves as no change in any of the data filled in the online application will be possible/ entertained. Prior to submission of the online application candidates are advised to use the "SAVE AND NEXT" facility to verify the details in the online application form and modify the same if required. No change is permitted after clicking on FINAL SUBMIT Button. Visually Impaired candidates are responsible for carefully verifying/ getting the details filled in, in the online application form properly verified and ensuring that the same are correct prior to submission as no change is possible after submission. Candidates should carefully fill in the details in the On-Line Application at the appropriate places very carefully including the registration of preferences for Participating organisations and click on the "FINAL SUBMIT" button at the end of the On-Line Application format. Before pressing the "FINAL SUBMIT" button, candidates are advised to verify every field filled in the application. The name of the candidate or his /her father/husband etc. should be spelt correctly in the application as it appears in the certificates/mark sheets. Any change/alteration found may disqualify the candidature. The payment can be made by using only Master/ Visa Debit or Credit cards or Internet Banking by providing information as asked on the screen. Candidates should fill in the details in the On-Line Application at the appropriate places very carefully including the registration of preferences for Participating organisations and click on the "FINAL SUBMIT" button at the end of the On-Line Application format. Before pressing the "FINAL SUBMIT" button, candidates are advised to verify every field filled in the application. The name of the candidate or his /her father/husband etc. should be spelt correctly in the application as it appears in the certificates/mark sheets. Any change/alteration found may disqualify the candidature. In case the candidate is unable to fill in the application form in one go, he/ she can save the data already entered. They can reopen the saved data using Provisional registration number and password and edit the particulars, if needed. Once the application is filled in completely, candidate should Final Submit the data. Candidates should take a printout of the system generated fee payment challan immediately. No change/edit will be allowed after final submission. Fee / Intimation charges Payment: Fee / intimation charges payment will be accepted at the CBS branches of the banks listed above from 2nd working day after registration and can be made within three working days. System generated fee payment challan will be used for depositing fee/ intimation charges. (For example: If one has registered on 26.07.2014then he/she will be able to deposit the fee/ intimation charges from 30.07.2014to 01.08.2014considering 27.07.2014 and 29.07.2014 are non- working days). Once fee /intimation charges has been paid, the registration process is completed. Candidate will receive registration confirmation by SMS/e-mail after two working days from the date of payment of fees/ intimation charges. Please ensure to furnish correct Mobile number / e-mail address to receive the registration confirmation. Note- There is also a provision to reprint the submitted application containing fee / intimation charges details, three days after fee payment. After completing the procedure of applying on-line including payment of fees / intimation charges, the candidate should take a printout of the system generated on-line application form three days after fee/ intimation charges payment, ensure the particulars filled in are accurate and retain it along with Registration Number and Password for future reference. They should not send this printout to the IBPS/ Banks. Please note that all the particulars mentioned in the online application including Name of the Candidate, Category, Date of Birth, Address, Mobile Number, Email ID, Centre of Examination, registration of preferences for Participating Organisations etc. will be considered as final and no change/modifications will be allowed after submission of the online application form. Candidates are hence advised to fill in the online application form with the utmost care as no correspondence regarding change of details will be entertained. IBPS will not be responsible for any consequences arising out of furnishing of incorrect and incomplete details in the application or omission to provide the required details in the application form. IBPS does not assume any responsibility for the candidates not being able to submit their applications within the last date on account of the aforesaid reasons or for any other reason beyond the control of the IBPS. Successful Registration is indicated by the Page displayed after clicking the Submit Button indicating the generated "REGISTRATION NO." and "PASSWORD". Please note down the same carefully and preserve it. If you do not preserve it, you will not be able to Re-Print the Application and download the Call Letter. I did not receive the email intimation for registration of my application? "REGISTRATION NO." and "PASSWORD" are also sent by auto-response Confirmation emails. Delivery of these emails purely depends upon the correctness of E-Mail ID provided, Policy of your E-Mail Service Provider to accept and Divert such emails under Bulk or Spam Mails or bounce back such mails without accepting it due to heavy number of emails generated by our Applications. In case of Govt./official /company Email Ids, delivery is controlled by your Company Policies. Therefore, please do not expect replies from us, if you do not receive such confirmation / auto-response Emails. How do I re-confirm that my application is saved? I got Blank / Zero Registration No. after submission of application on-line? After filling up the complete form, I got Blank Screen / Internet got disconnected / My PC closed / hanged / shutdown. Is my application saved / registered? I did not receive the acknowledgement / reply to my email communication? What details should I retain while replying to auto-response emails? While writing back by replying the confirmation emails for genuine problem, please retain the text containing "REGISTRATION NO." and "PASSWORD" details on the email. What details should I provide while writing for the problem? Please do not forget to provide following details while writing to us: (1) REGISTRATION NO. (2) PASSWORD (3) DATE OF BIRTH & (4) FULL NAME as entered in application. In case of application failure or any error message, we would like to have the screenshot of the error in JPG, GIF format or as MS Word file. Additionally, you may provide the PC Details including the Operating System (like Windows XP, Vista, Linux etc.) & Internet Browser & version (like Internet Explorer 6.0, Mozilla 3.0, Firefox 3.5 etc.) used. "In case you face any difficulty in online registration or if you haven't received auto response mail within 24 hours, inform us at registration_helpdesk@ibpsorg.org giving following specific details to enable us to provide quick resolution of the error encountered by you - (a) Registration Number (b) Name of the Bank (c) Name of the Post applied for (d) Your Email Id (f) Your contact telephone number (preferably your Mobile no ) (g) Your Operating System Windows XP SP2 or Linux ( with Version number) (h) Browser with its version number (i) Whether java script is enabled (j) Copy of Exact Text of error message you encounter.
. The candidate will have to arrange his own scribe at his/her own cost.
. The scribe may be from any academic stream.
. Both the candidate as well as scribe will have to give a suitable undertaking confirming that the scribe fulfils all the stipulated eligibility criteria for a scribe mentioned above. Further in case it later transpires that he/she did not fulfill any laid down eligibility criteria or suppressed material facts the candidature of the applicant will stand cancelled, irrespective of the result of the written examination.
. Those candidates who use a scribe shall be eligible for compensatory time of 20 minutes for every hour of the examination.
. The same scribe cannot be used by more than one candidate. In addition the scribe arranged by the candidate should not be a candidate for the examination (CWE PO/MT-IV). If violation of the above is detected at any stage of the process, candidature for CWE of both the candidate and the scribe will be cancelled. Candidates eligible for and who wish to use the services of a scribe in the examination should invariably carefully indicate the same in the online application form. Any subsequent request may not be favourably entertained. An extra time of twenty minutes per hour shall be permitted for the candidates with locomotor disability and cerebral palsy where dominant (writing) extremity is affected to the extent of slowing the performance of function (minimum of 40% impairment), although, no scribe shall be permitted to such candidates.
. Visually Impaired candidates (who suffer from not less than 40% of disability) may opt to view the contents of the test in magnified font and all such candidates will be eligible for compensatory time of 20 minutes for every hour of examination.
. The facility of viewing the contents of the test in magnifying font will not be available to Visually Impaired candidates who use the services of a Scribe for the examination. provided that a candidate belonging to categories (ii), (iii), (iv) & (v) above shall be a person in whose favour a certificate of eligibility has been issued by the Government of India.